As we know it, dyslexia is the difficulty of reading and interpreting letters and written content. Because of this, dyslexics find it hard to read even computer fonts. The good thing is, there are now fonts specifically made for the dyslexic eye. What are the fonts for dyslexia? 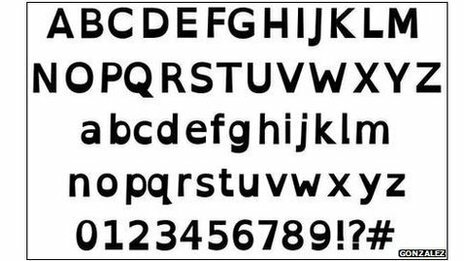 This font is developed by Christian Boer, a Dutch designer, in 2008 at the Utrecht Academy of Art. This font is exaggerately slanted and deformed to avoid confusion of reading similar letters like p, b, and d like in.this picture below. This is a quote from theguardian.com about the characteristics of Dyslexie: To counteract this tendency, Boer has introduced a number of tweaks. First, the letters are weighted towards the bottom, as if the bulk of each character’s body has slumped downwards under accelerated gravitational pressure. This sets a heavy baseline, which makes it harder for the letters to be flipped upside down – and gives the font the look of a chubby-ankled cousin of Comic Sans. Another characteristic of Dyslexie goes like this: Tails are lengthened and the space between letters is increased to counteract the common crowding effect, while capital letters and punctuation are bolded, making it easier to spot where one sentence ends and a new one begins. Studies done by the University of Amsterdam and the University of Twente in 2011showed that 84% of readers could read using Dyslexie font faster than most fonts and 77% committed fewer mistakes. OpenDyslexic is a free-to-use font designed by New Hampshire-based mobile app designer Abelardo Gonzalez in 2011. This font is designed to give “gravity” to letters to prevent the characters rotating in readers’ minds. OpenDyslexic goes like this. The letters are designed with the lower part having heavier depth for easier reading to the dyslexic. The good thing is this font has gained popularity to the public. 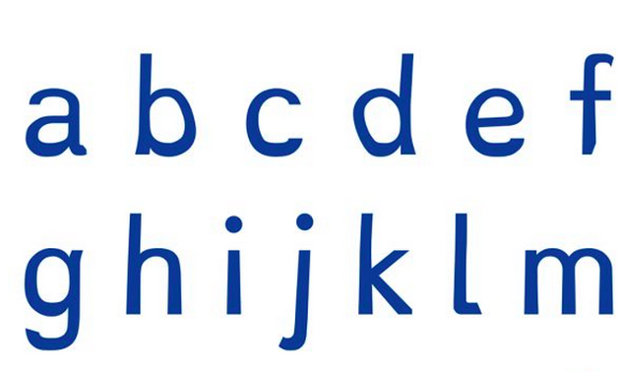 This font has already been introduced to the iOS app store, Android market, Instapaper, and even Gonzalez was contacted by The Kildonan School – which specialises in teaching children with dyslexia – to tell him it had started testing the font with its pupils. “The response has been great: I’ve had people emailing saying this is the first time they could read text without it looking wiggly or has helped other symptoms of dyslexia,” said Gonzalez. The font has been taken into consideration by Sony and Amazon for their e-readers. However, OpenDyslexic has yet to undergo scientific study just like Dyslexie. 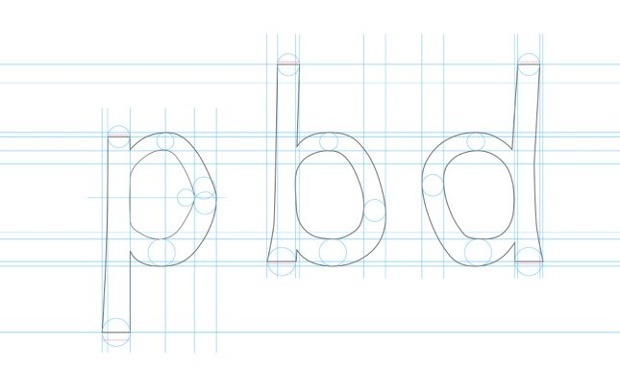 Nothing is known why Christian Boer, the creator of Dyslexie, created another font for dyslexia. Maybe he just wanted a cheaper type of Dyslexie, which is the Gill Dyslexic. This is created to compete with the OpenDyslexic. Gill Dyslexic aims to reduce the symmetry between letters, making them easier to distinguish. Like Dyslexie, Gill Dyslexic has heavier depth in the bottom to avoid mirroring of similar letters. Read Regular is created by Natascha Frensch, a graphic designer at the Royal College of Art, in 2003. This font is designed with an individual approach for each of the individual characters, creating difference in the actual characters of b & d itself (not mirroring the b to make the d), to create a large character differentiation. Lexia Readable is the adult version of Comic Sans. designed with accessibility and legibility in mind, an attempt to capture the strength and clarity of Comic Sans without the comic book associations. Features like the non-symmetrical b and d, and the handwritten forms of a and g may help dyslexic readers. 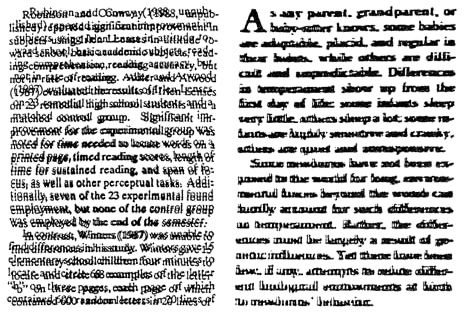 Sylexiad is a font developed by Norwich University College of Arts senior professor Dr. Robert Hillier. 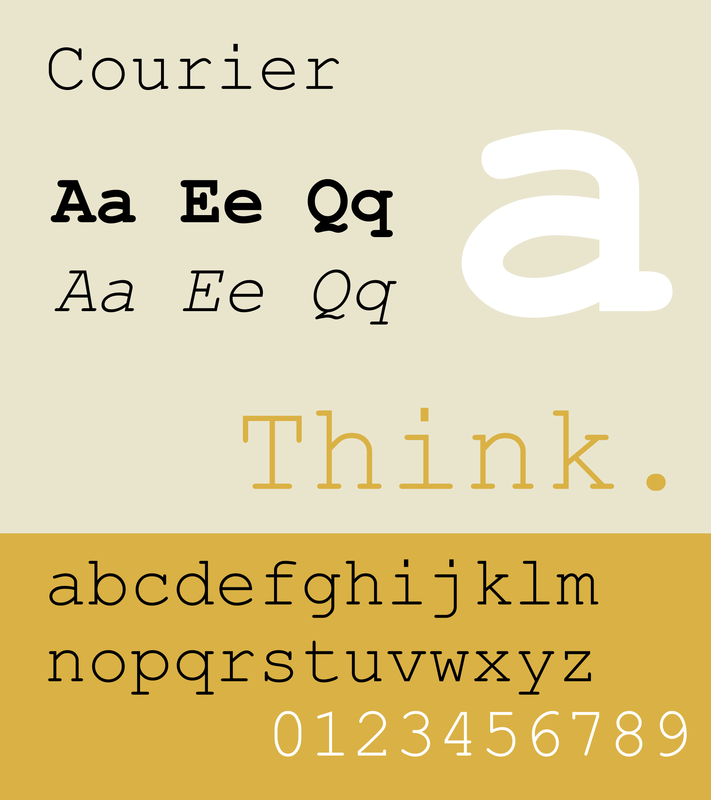 This font involved the design and testing of a new font family developed and informed from a dyslexic perspective against other fonts recommended by dyslexia organisations. 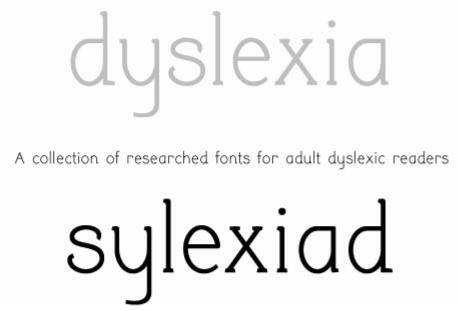 For the majority of those adult dyslexic readers tested, the evidence indicated a clear preference for the Sylexiad fonts. That’s some of the dyslexia-costumized fonts. Are there common fonts that can be read by dyslexics? In fact, a 2013 Spanish study was done to see what fonts are good for the dyslexic reader. 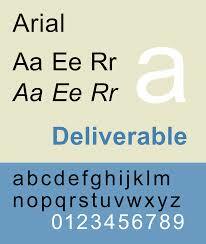 Some common fonts like the fonts above are found to be easier read than some dyslexia-costumized fonts. Thankfully, technology and the arts are very accommodating and creative in helping dyslexics read font. 8. Rello, Luz & Ricardo Baeza-Yates. 2013. Good Fonts for Dyslexia. (pdf) ASSETS 2013: The 15th International ACM SIGACCESS Conference of Computers and Accessibility, Bellevue, Washington USA, 22-24 October. Hmmm…for us, letters are just granted in our everyday lives. After all, they are just…letters. Letters to read, letters that convey words…bu alas, not all of us can read or comprehend letters or overall written language in general. Some people do really have that kind of condition. Thus is what we call dyslexia. 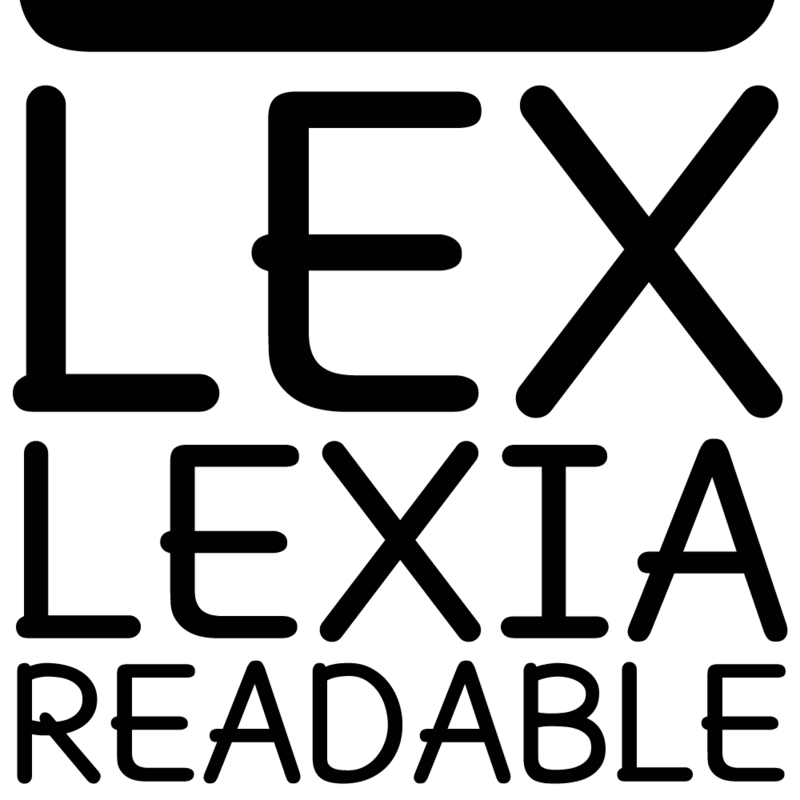 Dyslexia, also known as alexia or developmental reading disorder, is characterized by difficulty with learning to read and with differing comprehension of language despite normal or above-average intelligence. A person who has dyslexia is called a dyslexic. It is not caused by vision problems. The disorder is a specific information processing problem. It does not interfere with one’s ability to think or to understand complex ideas. The condition often runs in families. What are the signs and synptoms of dyslexia? That makes a dyslexic suffer from not understanding written language and its consequeces. Thus, it makes him or her frustrated, and predisposes him or her to depression or anxiety or other mood disorders. Really? But letters are easy to learn. Yes, easy for us. But not for dyslexics. As what it is stated, a dyslexic has no visual problems and usually has normal to above-average intelligence. The problem lies here. As you can see in the above picture, a dyslexic can see written words like this. It is not caused by blurry vision or eye disorder, but rather abnormal development of their visual nerve cells. Functional magnetic resonance imaging (fMRI) and positron emission tomography (PET) have produced a correlation between functional and structural differences in the brains of children with reading difficulties. Some individuals with dyslexia show less electrical activation in parts of the left hemisphere of the brain involved in reading. In a nutshell, there is a ‘short circuit’ in the reading area part of the brain, that makes it difficult to read and interpret words. If without support, dyslexics can end up unemployed, divorced, or with lifelong struggle to live independently. This is to rule out if someone suspected has other conditions that hamper reading comprehension. If all tests are ruled out and there is no other condition, then a diagnosis of dyslexia is made. There is no treatment for dyslexia. Instead, there are therapies aimed for improving reading comprehension using individualized approach since the severity affects each dyslexic differently. It can be through flash cards or tape classroom lessons and homework assignments instead of taking notes about them. Tutoring nad extra test time (though it’s too ideal) also may help and also use of computers with either large fonts or dyslexia-friendly fonts like Dyslexie, OpenDyslexic, and Lexia Readable can help in making dyslexia less difficult to manage. So, who says a person with dyslexia cannot succeed in life? If you suspect a loved one or a friend or a colleague has dyslexia, understanding, support, and management is needed for him or her instead of discrimination or ridicule, so that at the end of the day, he or she can be productive as any human can be. Dyslexia is only one of the conditions under neurodiversity. There are more conditions which will be written next time. Benson, David (1996). Aphasia: A Clinical Perspective. Oxford University Press. p. 180. ISBN 9780195089349. “Developmental reading disorder”. A.D.A.M. Medical Encyclopedia. 2013. Retrieved 23 January 2014. Silverman, Linda Kreger (2000). “The Two-Edged Sword of Compensation: How the Gifted Cope with Learning Disabilities”. In Kay, Kiesa. Uniquely Gifted: Identifying and Meeting the Needs of the Twice-exceptional Student. Avocus. pp. 153–9. ISBN 978-1-890765-04-0. “Dyslexia Information Page”. National Institute of Neurological Disorders and Stroke. 12 May 2010. Retrieved 5 July 2010. Stein, John (2014). “Dyslexia: the Role of Vision and Visual Attention”. Current Developmental Disorders Reports 1 (4): 267–80. PMC 4203994. PMID 25346883.